Loveair is one of the coolest online communities for English speakers. Here is the main fun of flirting to have and meet new people. Due to the quick registration, users can quickly establish contacts. We renounce eternal contract periods, the user does not need to bind tightly. 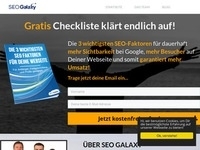 AdKlick publishers get an immediate 5.00 EUR for every free and active application. The salary will be when the user closes the free registration process and confirmed via email. Completely inactive registrations, multiple registrations, fake registrations with false information and registrations with disposable e-mail addresses will not be reimbursed. Furthermore, the following conditions apply: Remunerated the lead for each application of an active user. Active, each user who logs on to them by the pure application with his credentials and actively participates in the chat live. Fakeanmeldungen, Leads by Paid4-, Bonus Mailer, gorge-loose-or other further compensation systems are generally not reimbursed. - No further remuneration or incentives - No Bonus / cashback portals - No search engine marketing Any violation of these conditions will result in immediate cancellation of all accounts.